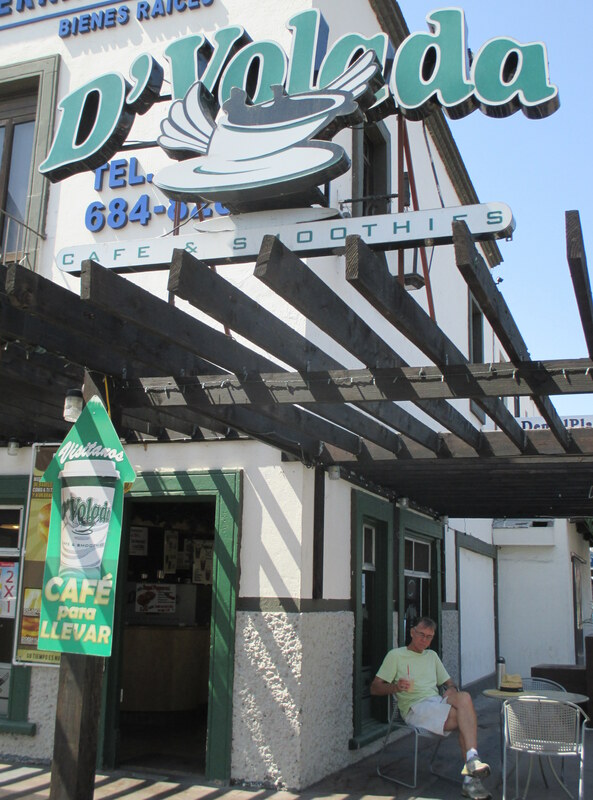 Often called Mexico’s Starbucks (they even use the same dark green colors), it’s not exactly an “independent coffee shop” as our blog subtitle says we prefer, but trying Mexico’s coffee is the neighborly thing to do. Any style coffee is available at D’Volada, from lattes to Americanos to mochas. My favorite is their mocha, be it iced or hot. It must be the Mexican chocolate, which is somehow different from US chocolate…certain things I don’t understand, I just appreciate. So which D’Volada is my favorite? I love the D’Volada below my dentist’s office…my dentist in Zona Rio, Tijuana, that is. I love going to the dentist & that’s not something I said growing up. But with my dentist in Tijuana, it’s an adventure every time I go. I walk across the border to his office (about 30 minutes) with a D’Volada coffee to greet me. Afterwards I get the reward of lunch at the historic Mercado Hildalgo (Google this mercado for lots of videos & testimonials). Or I visit Tijuana’s excellent Cultural Center (CECUT) across from my dentist & D’Volada. More on the Centro Cultural is at www.mexicoescultura.com/ (with an English translation option). But I’ve gotten sidetracked from the coffee…just know that there are many good reasons to go to Tijuana, besides my dentist & the D’Volada Coffee. Tecate, a quiet Mexican border town about an hour southeast of San Diego (off 94), has a D’Volada, too. It’s right beside the Catholic church, or see the address above. Of course another reason to go to Tecate is for the Tecate Brewery. You can even get a free beer here, then stop for D’Volada coffee before driving back to San Diego. And here’s a Mexico travel secret: the wait isn’t as long at this border crossing as it is at Tijuana. But if you’re crossing at the Tijuana San Ysidro pedestrian border (a wait that can run 2-3 hours), there’s a small D’Volada along the sidewalk that leads to the US border. One hot summer day the line was exceptionally long, so I ordered an iced mocha there & cooled off while I waited in line. I know there is usually a concern about ice in Mexico, but not from the border friendly D’Volada. Oh, and if you then need a restroom, no worries, there are also toilets (for a fee) at a few enterprising businesses along the way or right after passing through the U.S. customs. Just remember to bring your passport before heading to Mexico! Don’t have a passport? 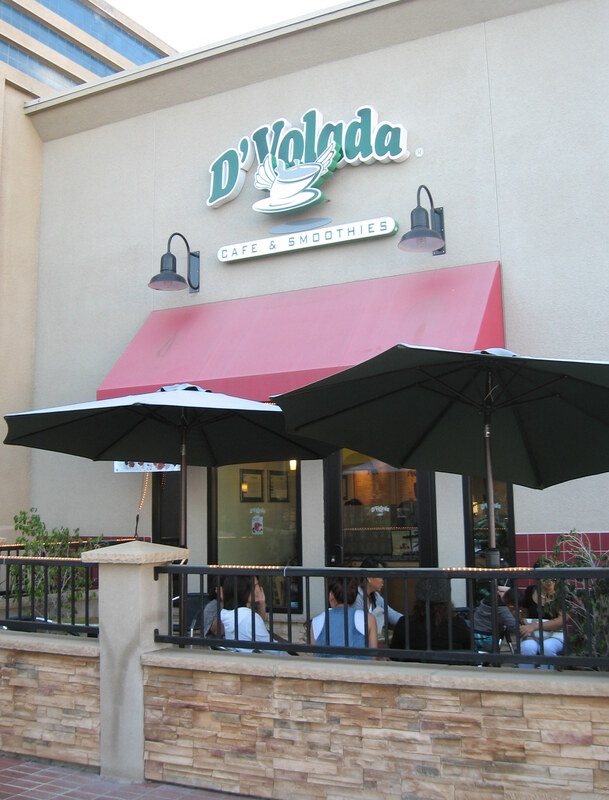 There’s a D’Volada in Chula Vista at 320 3rd Ave. (between F & G St.). This entry was posted in brewery with coffee, Coffee shops in Tijuana and tagged Tecate, Tijuana. Bookmark the permalink.